I never thought a desert landscape could be beautiful until I visited Monument Valley. The moment we turned turn down highway 163 my mind filled with images of old westerns and road runner cartoons. The park’s unique buttes seem to just rise out of nowhere. Monument Valley is awe-inspiring, and you’ve got to see it for yourself. Once you’re out there, you may feel like you’re in a different country, and you’re not far off. Monument Valley sits inside the Navajo Nation. The Native American Territory is the largest in the United States, covering over 27,000 square miles. Unbound by state lines the Nation extends into parts of Arizona, Utah, and New Mexico. If you’re planning a visit to any of these states, I would highly recommend adding Monument Valley to your itinerary. Your experience at Monument Valley can vary depending on what time of the year you visit. If you go during peak season (April-September), you’ll be sharing the view with a crowd. Go on the self-guided drive, and you’ll be sharing that road with who knows how many people. We visited in late December and had pretty much the whole park to ourselves! Sure we were frozen solid, but it allowed us to experience the park without the large packs of tourists getting in the way. Wheretobewhere has an excellent post breaking down the best times of the year to visit the Monument Valley. I’ll link it down below. Our spur of the moment trip hit a snag when we attempted to walk in and book a room at the park’s View Hotel. Even in the offseason, The View Hotel runs at near capacity with rooms being sold at a premium. We forgot that travelers from all over the world come to see the iconic valley, with many of them booking close to a year in advance. As a result, we ended up having to stay the night 28 miles away at the Kayenta Monument Valley Inn. Not ideal, or pleasant, but flexibility is a must when you travel somewhere without a plan. I don’t recommend it, but you can get in and out of Monument Valley in 5minutes if you’re just looking to take a picture of the Valley from the visitor center. The breathtaking view is only feet away from the parking lot. More adventurous visitors can hike the Wildcat Loop Trail. The 3.2-mile trail takes about 3 hours to finish and is suitable for hikers of all ages. Visiting in late December, we ended up not hiking the loop; it was too freaking cold. But online reviews of the trail said it’s a great option on busy days when the park is full of tourists congregating around the viewing platform or clogging the road. We opted to do the self-guided drive on our visit. Using the map we received upon entering the park. The map shows the trails and points out all the significant mittens and buttes. The unpaved road through the valley is on the left side of the parking lot. It’s the roughest right at the start, but the path eventually smooths out at the bottom. We drove it in Geoff’s Lexus and made it through without a hitch. The drive through the park left us in awe. The most significant surprise came when we got out of the car to take pictures. We were meet with near silence. Silence isn’t something we’re used to hearing, and it was a little unnerving, but once we got used to it, we loved it. The uncanny silence and unique rock formations made it easy to understand why the Navajo people consider Monument Valley a sacred place. In addition to The View Hotel, the park also has a campground with great views of Monument Valley. Again, if our trip weren’t spur of the moment, we would have preferred this option. My goal was to visit Monument Valley to create some amazing time-lapse videos, but there wasn’t a cloud in the sky during our visit. If we had known there was a campground we could have stayed in the park and spent the night shooting the valley as the Milkyway spun across the sky. Peak Season (April – September) = 6 a.m. – 8 p.m.
Off Season (October – March) = 8 a.m. – 5 p.m.
Tours. Plenty of tours and guides are available for purchase in the tourist center. It’s an excellent option for guests looking to learn more about the rich history and spiritual importance of Monument Valley. Bring cash. How horrible would it be to get turned around at the gate if the credit card system is down? If you plan to drive through Monument Valley, make sure your car can handle an unpaved road. Try fry bread. The Native American bread is similar to naan bread but way thicker and chewy. It’s so good fresh. Don’t rush. Take your time, enjoy the park. Avoid midday. It’s busy, and the sun is in the worst spot from pictures of the valley. Below is a handful of websites and books you can use to plan and book your official visit. https://www.tripadvisor.com/Attraction_Review-g57072-d142989-Reviews-Monument_Valley_Navajo_Tribal_Park-Monument_Valley_Utah.html – The first place most travelers look to when planning a visit. A couple of Monument Valley books that we got a chance to look through and enjoy are listed below. In addition to the great photos, they offer a wealth of knowledge about Monument Valley and the Navajo Reservation. The Lonely Planet Southwest USA Book was extremely useful in the car as we drove back and forth across Arizona. Let us know in the comments below if you found this post useful or have any suggestions on things we may have missed. 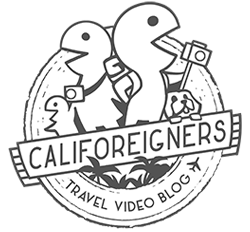 If you want to see more from us, check out some of the other posts on our Travel Page. We like to posts stories about our travels, itineraries, and informational posts about unique places we’ve visited. The more people we can help to get out and travel the better. Take care. I love the video you made at the beginning. Great way to sum up your trip. It’s funny… I saw a TV show recently (forget the name) and saw this landscape in the background. Now I know it’s Monument Valley. Quite beautiful. There are so many parts of the USA to see and enjoy. Thanks for sharing your experience. I’ll have to add this to my bucket list. You should do it! It’s a great road trip where you can knock out a ton of beautiful sites in one go. This is so cool! I would love to do an overnight stay and spend it camping under the stars. I just returned from a desert destination, so loved your story. Your overnight camping seems like an awesome experience. Yeah, it was an experience to be out there timelapse at night. It was a new moon, so it was pitch black. In addition to being frozen, I kept thinking a coyote was going to sneak up on me. Might sound horrible, but I loved it. This place is gorgeous! I would love to take a road trip here one day. A photoshoot would be amazing. It is the perfect landscape to have in the background. Honestly, it’s a fun adventure you should do it! Looks like Monument Valley is the place to chill out and relax, too! Love it! It is. The silence is unlike anything I’ve experienced before. When you’re out there, no one is rushing you, and you can take all the time you want.